At Peirce, we firmly believe in providing students of all ages and backgrounds with access to higher education. Last week, our mission received national attention when the College was ranked first in the nation by U.S. News & World Report for having the highest percentage of minority-students enrolled in an online bachelor’s degree program! In a June 16th analysis of data from nearly 300 colleges and universities, Peirce tops the chart with 76 percent of students pursuing online coursework reporting to be either Hispanic, black, indigenous, Asian, Polynesian or multiracial. Peirce College’s large population of minority online undergraduates counters the national trend. A recent study by Aslanian Market Research and The Learning House, Inc. says nearly 70 percent of the nation’s online students are white. Peirce is fully committed to breaking down barriers toward degree completion for all students. As we mentioned in March beginning this fall with four of our health programs and our graduate studies program, and then rolling out across the rest of the curriculum over the next year, Peirce students can decide from week to week whether to attend their classes in person or online as part of the College’s unique flexible delivery format. Peirce is the first institution in the Philadelphia region – and among the first in the nation – to roll out this adaptable environment over its entire curriculum. As a major supporter of Mayor Michael A. Nutter’s education efforts, we were also one of the first schools in the region to participate in the Returning to Learning Partnership program, providing City of Philadelphia employees and their families with a 25% tuition discount. By partnering with major local employers, the College plays a large role in training the region’s workforce and positively impacting the local economy. Peirce College is proud of the diverse experiences and identities that make up our community, and we’re always excited to celebrate those differences. 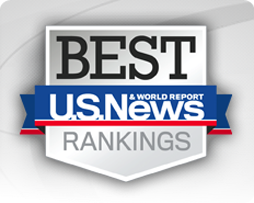 To learn more about how Peirce College stacks up nationally, you can read the full U.S. News & World Report article here.